The steering committee of Russia’s fourth largest carrier UTair Aviation has announced performance targets for 2018. The carrier expects its traffic to reach 8.2 million passengers next year, or 12% more than in 2017. UTair will have carried 7.2 million passengers this year, which is more than the 6.988 million forecast earlier. In line with the carrier’s development strategy, this growth will result from improvements to the operational efficiency and seat load factor, not from an increase in capacity. The target for 2018 is to bring the total fleet flight time up to 214,000 hours (+10.9%) and increase the load factor by 3 percentage points to 77%. The airline also plans to continue expanding it route network by inaugurating new flights in Siberia and Volga Region, in southern Russia, and to international destinations. UTair’s base airport Vnukovo outside Moscow is also expanding its transit network, which could prove beneficial for the operator. In 2015, after facing insolvency, UTair was forced to halve its fleet. According to the carrier’s recently announced new strategy, it is planning to renovate the fleet and gradually add capacity by 2025, but no massive fleet renovation effort is expected before 2019. No deliveries are scheduled for next year. 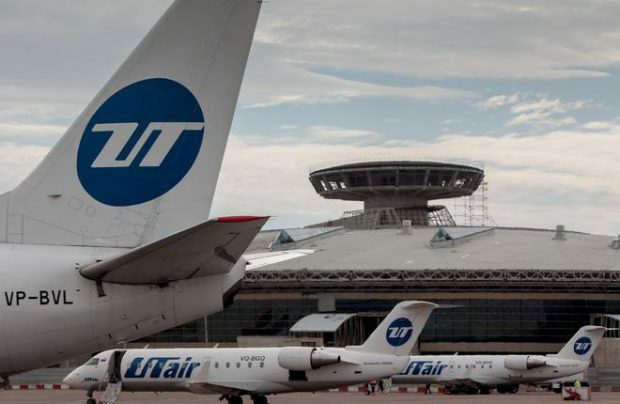 The UTair management admits that difficulties may still persist next year, forcing the airline to tighten its cost control. “This is mainly due to a substantial growth in fuel prices registered in H2 2017,” the carrier explains. The operator hopes that the introduction of lean operations will help it cut costs. According to Russia’s Federal Air Transport Agency, UTair carried 583,400 passengers in November 2017, up 8.1% on the same month last year. In January through October, its traffic amounted to 6.111 million passengers, up 9% year-on-year.